In a rare display of bipartisanship, the House of Representatives passed the JOBS and Investor Confidence Act of 2018, known as the JOBS Act 3.0 by a 406-4 vote. The legislation, which was the result of an agreement between House Financial Services Committee Chairman Jeb Hensarling (R-TX) and Ranking Member Maxine Waters (D-CA), includes a package of 32 bills which improve investment, capital formation and lending, with a specific focus on helping small business. The Helping Angels Lead Our Startups (HALOS) Act (H.R. 79) addresses an important issue regarding when a business may make a pitch to potential investors without breaking securities laws. The legislation would define an “angel investor group” and modify SEC regulations to allow entrepreneurs seeking investment to make presentations to prospective investors at events sponsored by angel investor and venture capital groups, nonprofit organizations, universities, etc. The Fair Investment Opportunities for Professional Experts Act (H.R. 1585) would update the definition of accredited investor so those who do not have a high income or high net worth but do have the education and job experience to evaluate investment risks and merits can participate via investments in the growth of promising companies. The Investing in Main Street Act (H.R. 2364) increases the percentage a financial institution or federal savings association can invest in a small business investment company (SBIC) from 5 percent to 15 percent. 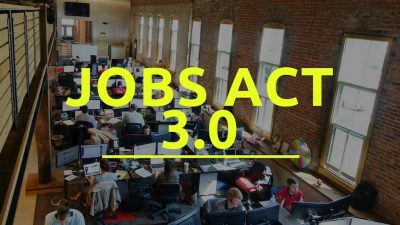 For a full list of bills included in the JOBS Act 3.0, click here. Expanding Contracting Opportunities for Small Businesses Act of 2018 (R. 6369) – introduced by Rep. Roger Marshall (R-KS) and Rep. Brad Schneider (D-IL). This bill gets rid of the requirement that the sole source award can only be $4 million for the life of the contract, allowing sole source awards to now be $4 and $7 million per year. Additionally, for WOSBs and SDVOBs, the bill implements a new eligibility determination process for sole source awards. In addition to the current requirement that contracting officers must verify eligibility before awarding the contract, this bill requires SBA to also verify eligibility. There was an amendment to the legislation that extends elimination of option years to the 8(a) program as well and will get rid of WOSB eligibility verification once SBA comes up with their own process to verify, which is in the works. This bill creates incentives for prime contractors to reach their subcontracting goals by receiving credit. Prime contractors will be required to keep records of subcontracting credit claimed at lower tiers. It also designates the OSDBUs in agencies to resolve issues of non-payment of subcontractors. One amendment was made to this bill requiring subcontractors to tell the primes that they are doing dispute process for non-payment and if primes want to get credit, they have to report on what work is actually going to the small businesses. This bill creates a reporting requirement on small business participation on Best in Class (BIC) vehicles. An amendment added to this legislation puts an effective date that the data must be reported, which is once it is available in SAM. This bill would modify the SBA reporting requirements to have businesses report their average earnings over the last five years, rather than three which will provide more certainty to small businesses as they ramp up their operations and grow over time. This is important for growing businesses who may slow their growth to avoid being pushed out of the “small” category before they have the capacity to compete with larger businesses. This bill makes a series of changes to the Small Business Innovation Research and Small Business Technology Transfer programs, making them easier for small firms to use and allowing experienced firms in the SBIR/STTR programs to mentor younger companies. For the full list of bills passed, click here. President Trump signed into law a bill to strengthen the Small Business Administration’s (SBA) oversight of its loan programs and increase maximum lending authority. Championed in the Senate by Sens. 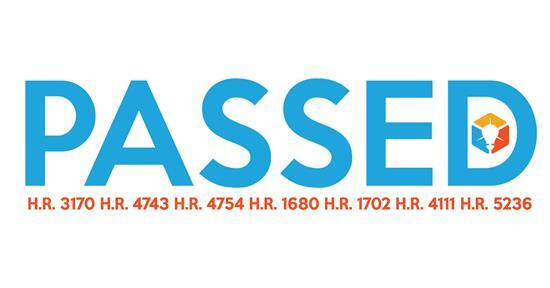 Jim Risch (R-Idaho) and Jeanne Shaheen (D-N.H.) and in the House by Reps. Steve Chabot (R-Ohio) and Nydia Velazquez (D-N.Y.), the Small Business 7(a) Lending Oversight Reform Act, will strengthen and improve one of the core SBA loan programs responsible for providing access to capital to entrepreneurs. In FY2017, the 7(a) program supported more than $25.44 billion combined across 62,430 loans. According to the SBA, 7(a) lending to women-owned businesses (both majority and minority-owned) grew in total dollar and volume in FY2017, exceeding $7.5 billion which is an increase of $298 million from FY2016. The law will help the SBA increase efficiency of the (7)a Loan program and expand its reach by strengthening the SBA’s Office of Credit Risk Management which manages the loan program, enhancing the SBA’s lender oversight review process, providing the SBA Administrator with flexibility to increase the program’s maximum lending authority should it be reached, and requiring the SBA to perform a full annual risk analysis of the program. Women’s Business Centers Improvements Act (H.R. 1680): The Office of Women’s Business Ownership’s responsibilities would be modified and it would be authorized to make larger grants to women’s business centers. Through awards ceremonies, media interviews and community events, we honor entrepreneurs whose achievements stand out. As an entrepreneur myself, I know the hard work that goes in to starting and building a small business – efforts that don’t often get the attention they deserve. Honorees in this week’ spotlight do not cast a shadow that dims the efforts of others; rather they serve as a beacon – to competitors, up-and-comers and communities as a whole. They show what is possible. They are innovators and problem solve rs, creating products and services that are better, smarter or more efficient than what came before. They are risk takers. And through their success, they inspire others to dream and to create small businesses of their own. Small businesses contribute so much to our communities and economy. They create two out of every three net new jobs in the private sector. More than half of all Americans either work for or own a small business. Entrepreneurs are not only making a living for themselves, they are making their neighborhoods vibrant places to live and work and contributing to our nation’s economic strength. The U.S. Small Business Administration is so proud to have been a part of small businesses’ success for 65 years. Since 1953, the SBA has been supporting entrepreneurs with the tools they need to succeed. The Agency – through its headquarters in Washington, DC; its 68 district offices nationwide; and resources partners like Small Business Development Centers, Women’s Business Centers, Veterans Business Opportunity Centers and SCORE chapters – serves entrepreneurs at every stage of their lifecycle. It guarantees loans for entrepreneurs who can’t get capital from other sources, mitigating a lender’s risk. It offers counseling on starting and scaling a business, from how to draft a business plan to how to export products overseas. It trains small businesses to compete for government contracts. And it helps those recovering from a declared disaster get back on their feet. Whether they are starting up, expanding or getting through a tough time, the SBA is the nation’s only go-to resource for small business backed by the strength and resources of the federal government. It powers the American Dream. And the SBA is working to make that dream accessible to more Americans by modernizing its application processes, improving online resources, and streamlining how technology is used to deliver services more efficiently and effectively. National Small Business Week honors entrepreneurs who have used these resources to make their lives and their communities better. And the SBA shines a light on their achievements, I hope it will illuminate the path for even more aspiring entrepreneurs following in their footsteps. Linda McMahon serves as the 25th Administrator of the U.S. Small Business Administration. As a member of President Trump’s cabinet, she advocates on behalf of the 30 million small businesses in America, which employ nearly half of all American workers and account for 56.8 million jobs. Last week before the House Committee on Armed Services, Chairman Steve Chabot of the House Small Business Committee urged members to incorporate a package of 13 bipartisan small business bills in the FY 2019 National Defense Authorization Act. The bills include legislation addressing SBA loan programs and technical assistance programs such as Women Business Centers, small business lending, cybersecurity, government contracting, and other issues impacting small business. Read a full accounting of bills included in the package can be found here. 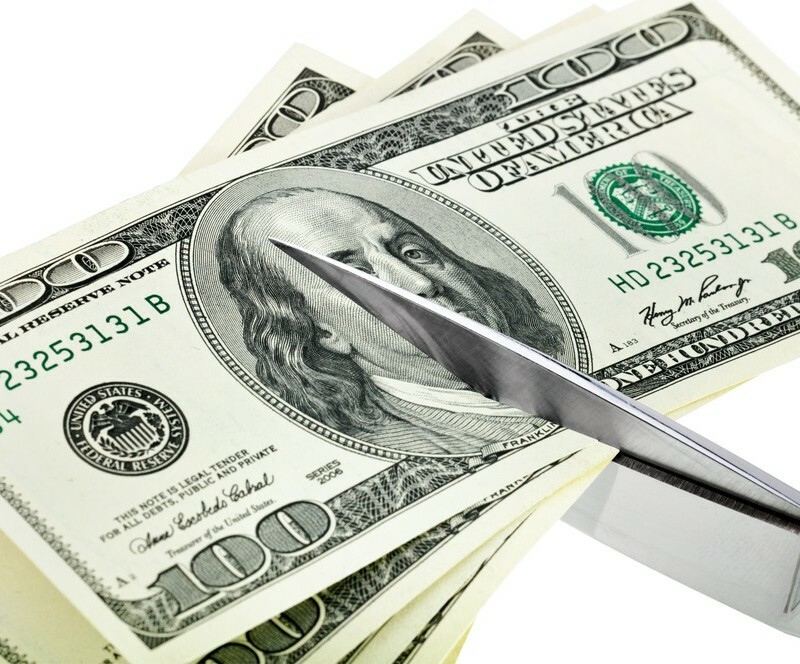 The House Ways and Means Committee last week approved the passage of the Taxpayer First Act (H.R. 5445), legislation sponsored by Oversight Subcommittee Chairman Lynn Jenkins (R-KS) and ranking member John Lewis (D-GA). The bill would improve the independent appeals process, taxpayer services and enforcement. It also updates the IRS and Tax Court structure. Click here to learn more about the legislation and other recent bills relating to IRS reform passed out by the House Ways & Means Committee. The House approved H.R. 4790, the Volcker Rule Regulatory Harmonization Act by a vote of 300-104. The legislation would exempt banks with total assets of $10 billion or less and comprised of 5% or less of trading assets and liabilities from the Volcker Rule. The rule prohibits banking agencies from engaging in proprietary trading or entering into certain relationships with hedge funds and private-equity funds. The bill would also grant exclusive rulemaking authority under the Volcker Rule to the Federal Reserve Board. The intent of the legislation is to alleviate the compliance burden on small banks, which would help improve capital markets and lending, especially to small business. The House Small Business Committee heard from a panel of business owners and experts on the state of international trade for small businesses. The hearing’s focus was the State Trade and Export Promotion (STEP) Grant Program and the federal government’s overall efforts to increase small business exports. However, with tariffs proposed by the administration and discussion of a possible trade war with China, witnesses highlighted how recent activity would impact their businesses and small business exporters at large. Read submitted testimony or watch the full hearing here. On March 23, President Donald Trump signed a $1.3 trillion omnibus spending bill for FY2018—10 percent higher than FY2017 due to the budget agreement reached last month by lawmakers. The Small Business Administration (SBA) received $18 million less than in FY2017. SBA received $247 million for entrepreneurial development grants including $130 million for Small Business Development Centers; $18 million for Women’s Business Centers; and $11.5 million for the SCORE program. SBA’s business loan program will have new authority to guarantee $29 billion in 7(a) loans. For government contractors, passage of this bill means a compressed procurement and grant cycle. The new Fiscal Year started in October but has just now been funded. That means agencies have one quarter instead of four to procure goods and services. Here is a chart of WIPP’s FY2018 appropriations requests and what was included in the FY2018 Omnibus bill signed by the president. Small Business 7(a) Lending Oversight Reform Act of 2018 Unanimously Approved in Both the House & Senate Small Business Committees. Read the House Small Business Committee’s Press Release here. House Small Business Committee Chair Steve Chabot (R-OH) released a statement recently in support of Rep. Steve Knight’s (R-CA) bill, the Accelerated Payments for Small Businesses Act, encouraging federal agencies to make payments to small business prime contractors within 15 days of sending an invoice. Read Chair Chabot’s statement here. SBA has partnered with the SCORE Association to offer a NSBW Virtual Conference which will take place May 1- May 3, between 12:30pm ET and 6:30pm ET each day. The conference will offer 12 educational webinars, mentoring sessions, networking opportunities and resources in a three-day event. You will hear from industry experts, such as Visa, Google, Chase, Constant Contact, Square and more. They will share insider tips on various aspects of online marketing, financing, customer service, cybersecurity among other topics. Register for the NSBW Virtual Conference here. Next week, the SBA Office of Advocacy will be hosting a Regulatory Reform Roundtable and a NAFTA Modernization Outreach meeting for small business owners in order to gain insight into which specific federal regulatory burdens present the biggest barriers to small business growth and get input on possible NAFTA changes. Wednesday, April 11, 2018: NAFTA Modernization Outreach meeting at 9:00 a.m. for small business owners. Location: Georgia Department of Economic Development, 75 5th Street Northwest, 10th floor, Atlanta, GA.
To register for these meetings, visit SBA’s website. The National Women’s Business Council released two new research reports on success factors for women business owners access to small business finance, finding that the first 30 days of crowdfunding campaigns matter the most and personal stories play a vital role in reaching fundraising goals. The reports also showed that while it helps to have large network, the way you leverage that network to help you with funding your business is equally important to your success at raising money. Read the press release and access the reports here. The speech caught my attention because women entrepreneurs in all industries including Hollywood share the same vexing problem—access to capital. A damning statistic, women only receive 4% of all commercial loan dollars and 2% of venture capital, shows women entrepreneurs struggle with obtaining adequate capital. Yet, over 36% of businesses are women-owned and are growing at four times the rate of businesses owned by men, so it appears there is no shortage of women seeking operating or investment capital. A study from Harvard Business Review also points to an additional reason for this deficit—male and female entrepreneurs are asked different questions by VCs, which in turn affects the level of funding they receive. According to the study, when investors asked male entrepreneurs questions they used a promotion orientation, meaning they focused on their hopes and achievements. Alternatively, when questioning women entrepreneurs, they mostly used a prevention orientation, which focused on questions regarding responsibility, security and vigilance. Researchers found that this has a substantial impact on funding outcomes, thus helping to explain the large disparity in VC funding for women entrepreneurs. Given these barriers, why are so many women starting businesses? It seems to boil down to two reasons: they were either inspired or frustrated. Inspired because they had a good idea, built a better “mousetrap” or decided to create wealth for their families by taking the risk of entrepreneurship. Frustrated because they weren’t getting equal pay for equal work, were tired of a hostile work environment or saw no ability to advance. What are some of the solutions to this vexing problem? Unfortunately, there is no silver bullet but rather a host of solutions necessary to turn this tide. For starters, investors and lenders can start asking the right questions and including women in their review process. Women who sit on the boards of these companies can monitor lending/investing in women-owned companies. And on the policy front, WIPP’s Economic Blueprint suggests a host of policy changes that will help. They include understanding the data from lending institutions with respect to lending to women, freeing up a regulatory environment that discourages smaller banks from lending to small businesses and developing a track for women to become investors through government backed programs like the Small Business Investment Companies. Lastly, Congress should require a comprehensive review of the Small Business Innovation Research program, which awards only 16% to women. Even though access to capital for women business owners requires changing cultural biases and policies, all of us can start by educating those around us. If one of us stands up, everyone will stand. Administered by the Small Business Administration, the 7(a) loan program is a loan guarantee program designed to encourage lenders to provide loans to small businesses that might not be able to otherwise obtain financing. During the first half of FY17, the 7(a) loan program saw an increased demand with approvals 9% higher than in the first half FY16. This lead Congress to include an appropriations provision to increase the program’s authorization limit to $27.5 billion for FY17 from $26.5 billion in FY16. The just passed continuing resolution to fund the government included a provision on the program. It authorized SBA to use more funding so they could administer the 7(a) program with increased demand.